Gourmet Ibérico There are 10 products. In this category you will find all kinds of foods and products that are typical of Andalucia and are difficult to obtain in any other part of Spain or the world. 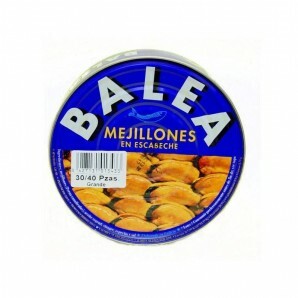 From the best olive oil, until all sorts of fillets of fish, caviar, snails, Andalusian potatoes, sweets or typical breads. Olives Gordales Verdes La Reina del Verdeo Provenance: Arahal (Sevilla) Weight: 2.7 lbs (1.24 kg) The olive is a staple food in the Mediterranean diet. The unsaturated fatty acid on saturated and particularly the monounsaturated oleic acid predominate in this fruit. It is rich in dietary fiber and minerals (sodium, calcium, potassium, magnesium, iron, phosphorus and iodine. Olives Manzanilla Verdes La Reina del Verdeo Provenance: Arahal (Sevilla) Weight: 2.7 lbs (1.24 Kg) A magnificent olive with an exquisite flavour and made in a traditional and artisanal way. This is an olive considered essential in the Mediterranean diet, as it can be enjoyed as an aperitif and is used as a dressing on salads, tapas, pâtés and other dishes. Marinated Fried Mussels Conservas Iglesias. Weight: 1.1 lbs ( 523 grams. )This is a selection of the top mussels. Perfectly clean, fried in olive oil and with a smooth marinade. Rich in proteins and iron, contains vitamins A, B and C. Without a doubt an ideal aperitif. Traditional Regaña Horno la Cuesta Provenance: Alcala del Rio (Sevilla) Weight: 0,33 lbs ( 150 grams ) We have a Regaña, which gives it a flavor and unmistakable and unique texture. It scolds for those who do not know it is used to accompany various dishes and snacks and is very similar to the roscos and peaks. Goat cheese in olive oil by Queseria de Tentudia. Provenance: Calera de León. Weight: 2 libs the whole piece ( 900 grams half piece ) Curing soft goat cheese dipped in olive oil, with an intense coming softness of natural healing in the Extremadura rangelands. 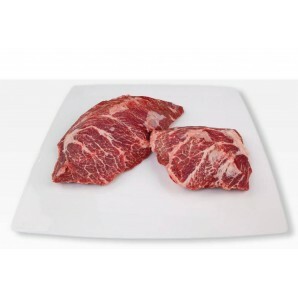 Iberian pork fillet Origin: Dehesas ExtremeñasWeight: about 400 g piece.Elongate and cylindrical, located muscle attached to the backbone in the part which is located next to the ham. Lean piece of Iberian pork with very little fat and very tender infiltration. You can eat grilled, although it is very versatile and it can be prepared in various ways. One more top Iberian pork products.